Here are a few examples of the handmade greeting cards, magnets, stained glass, t-shirts and scarves that are available for purchase. All items can be customized. Please contact me for further details. Magnets are all handmade by yours truly. They are on average 1.75 inches in diameter with a depth of .50 inches. Due to the nature of the glass beads each magnet is unique in shape and texture. The magnets are very strong, great for hanging multiple items. Priced at $2.50 each they are a steal! Cat Paintings is another ongoing project of mine, which means more to come! 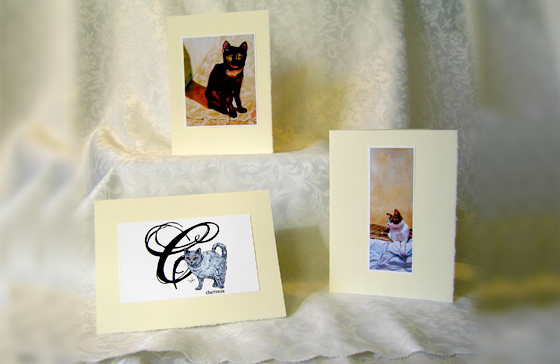 Specs: Cards are blank inside with a deckle edge, 5×6 7/8 inches. 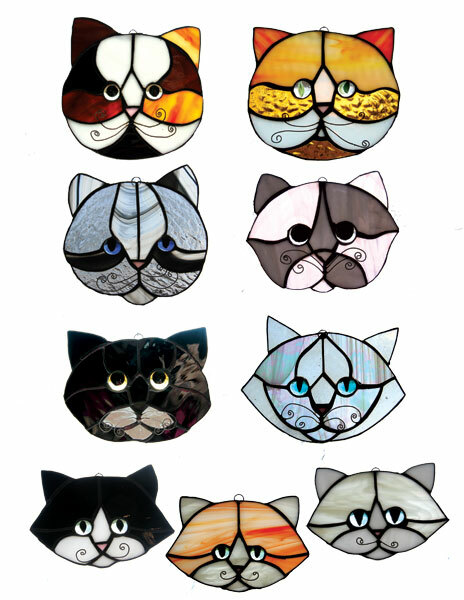 Specs: Each suncatcher is lovingly made. They are unique and playful. Sizes vary (average width is 6 inches). Faces can be customized to resemble your cat. 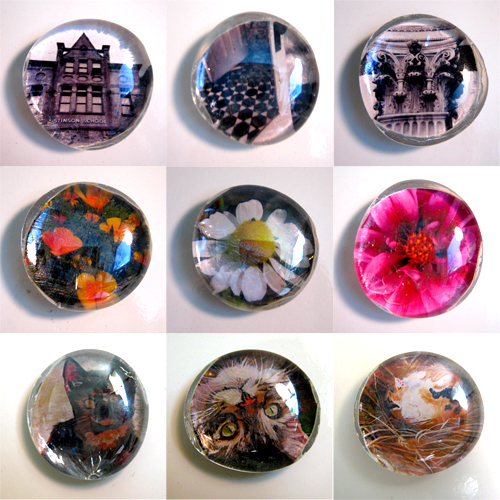 Wholesale: Please contact me via email if you wish to order any of these cards, magnets and stained glass for wholesale purposes and to inquire about wholesale pricing. *All of my paintings are for sale unless otherwise stated. Contact me for prices.